There is no better way to spend some time on the beach than searching for seashells. 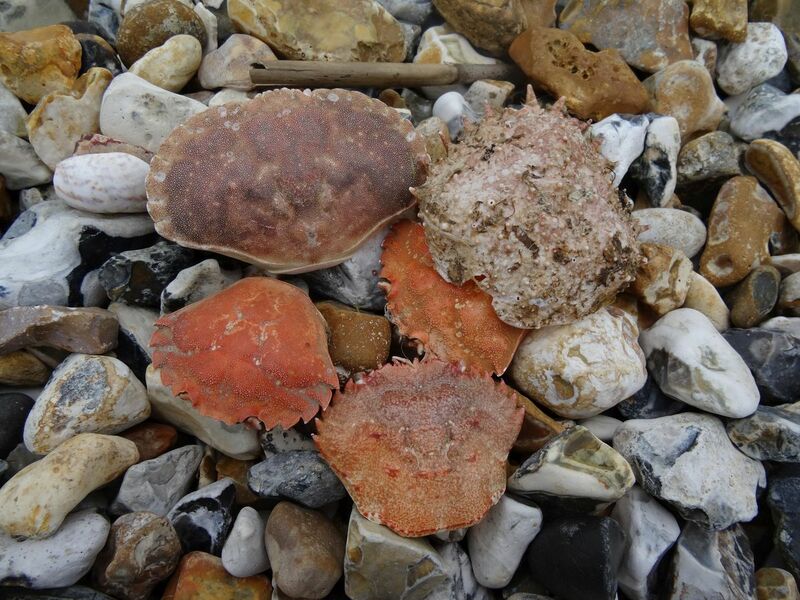 Who didn’t, as a child, return home from the seaside with swimmers filled with sand and pockets filled with shells? 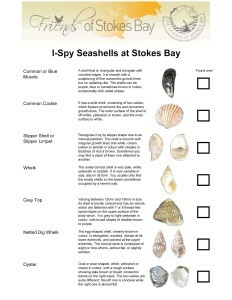 Here are some of the common shells that you may find on Stokes Bay beach, if you look hard among the pebbles and along the waterline. The “slipper limpet” or “slipper shell”, is a genus of sea snails, marine gastropod mollusks in the family Calyptraeidae. 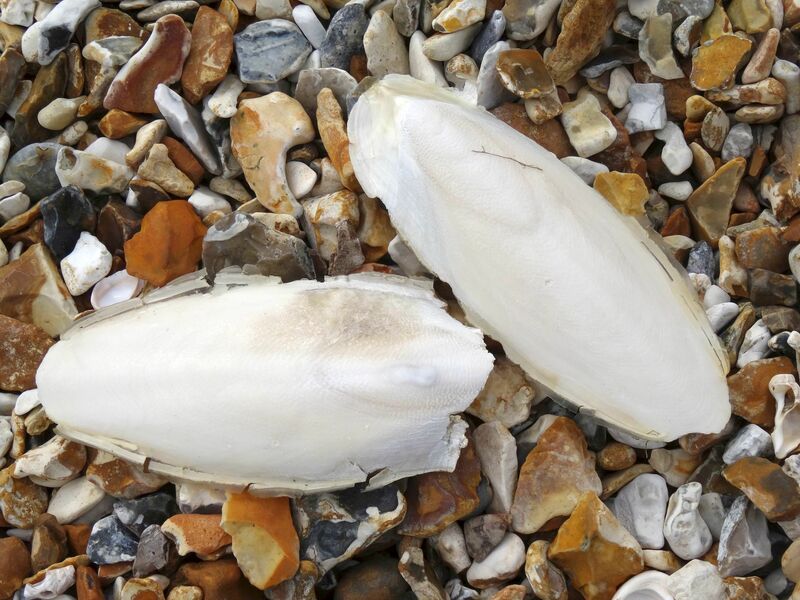 At stokes bay this shell is definitely common. 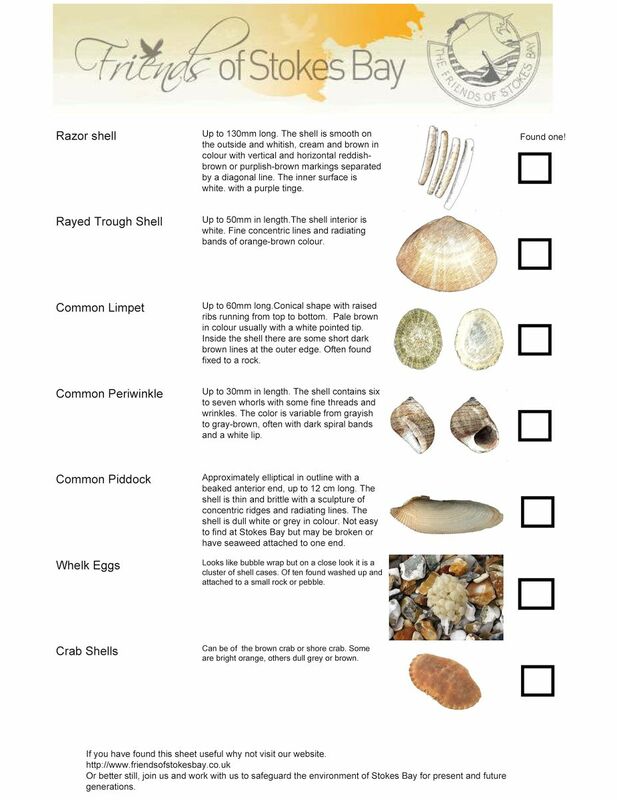 It has many other common names, including common Atlantic slippersnail, boat shell, quarterdeck shell, fornicating slipper snail, Atlantic Slipper Limpet. You can easily recognise it by its slipper shape due to an internal partition. 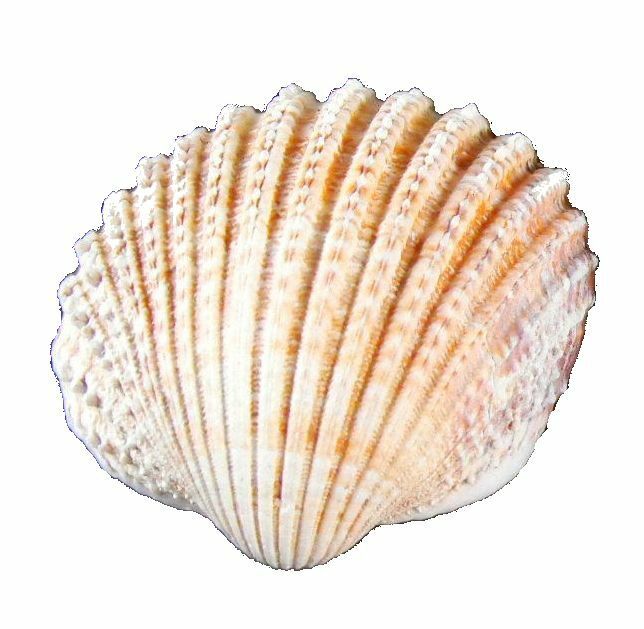 The shell is smooth with irregular growth lines and white, cream, yellow or pinkish in colour with streaks or blotches of red or brown. Sometimes you may find a stack of them one attached to another. Limpets are filter feeders and they often eat the food that oysters also eat and can multiply so fast they crowd them out. The Grey Top Shell is a species of small sea snail varying between 12mm and 18mm in size. 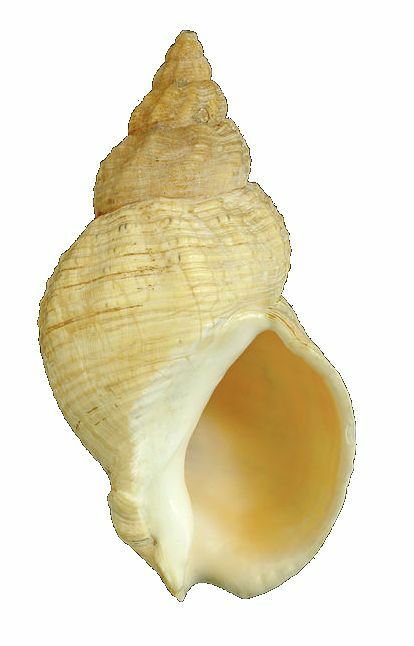 Its shell is bluntly conical and has six whorls, which are flattened with 7 or 8 thread-like spiral ridges on the upper surface of the body whorl. It is grey to light yellowish in colour, with broad stripes of reddish-brown to purple. 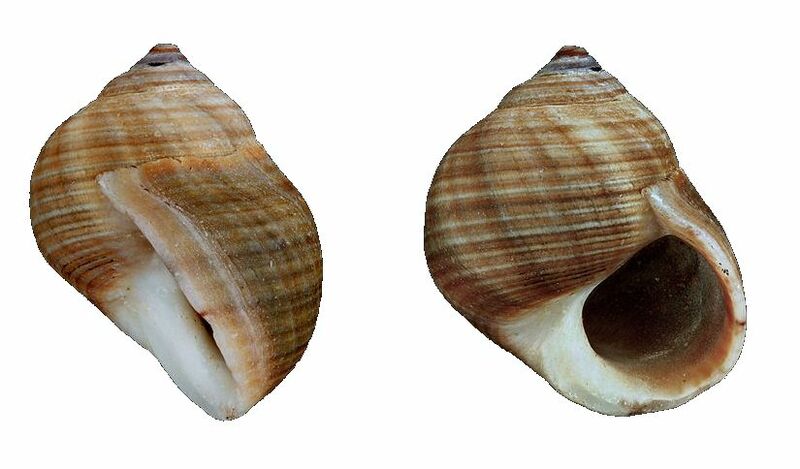 The common whelk or the waved buccinum, is a large, edible marine gastropod. 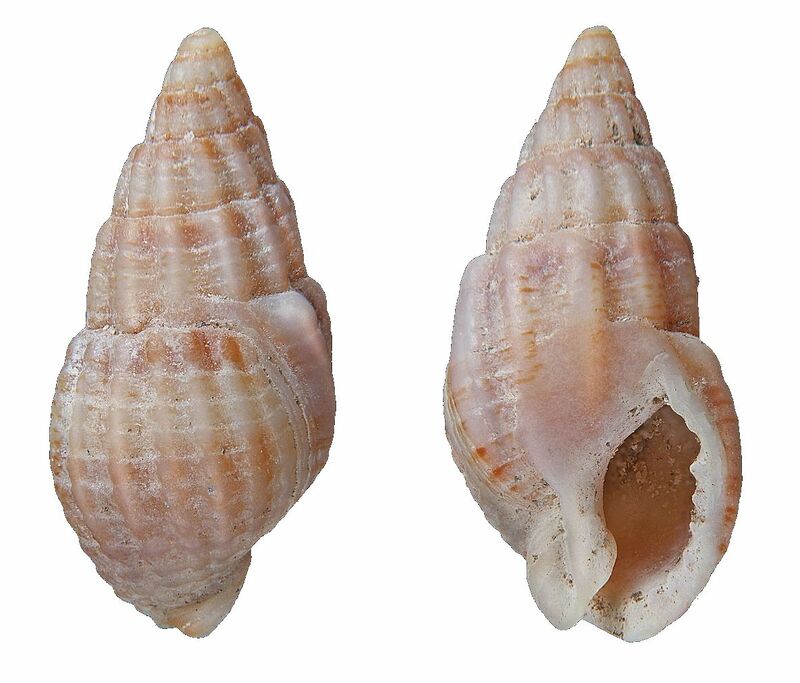 The ovate-conical shell is very pale, white, yellowish or reddish. It is very variable in size; also in its form. 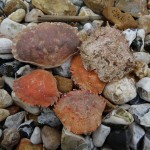 You usually only find the empty shells on the beach sometimes occupied by a hermit crab. 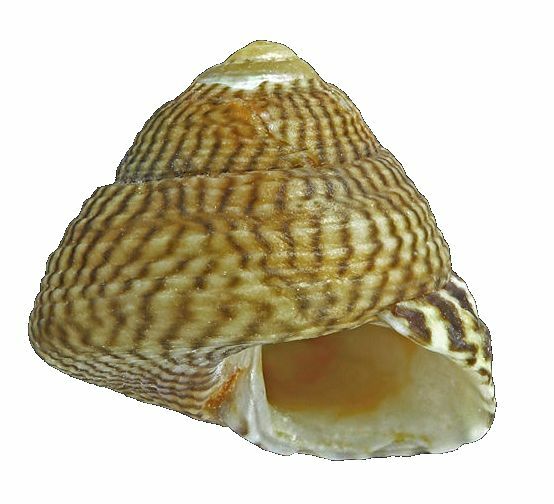 The netted dog whelk is a species of small European sea snail, a marine gastropod mollusc in the same family as the dog whelks or nassa mud snails. The egg-shaped shell, creamy-brown in colour, is elongated, rounded, obtuse at its lower extremity, and pointed at the upper extremity. It is moderately thick. The conical spire is composed of eight or nine whorls, almost flat, or slightly swollen, but distant from each other. 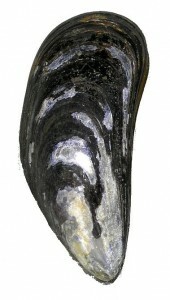 The common mussel, also known as the blue mussel has a shell that is triangular and elongate with rounded edges. It is smooth with a sculpturing of fine concentric growth lines but no radiating ribs. The shells can be purple, blue or sometimes brown in color, occasionally with radial stripes. Also known as the European flat oyster, Colchester native oyster, mud oyster, or edible oyster. 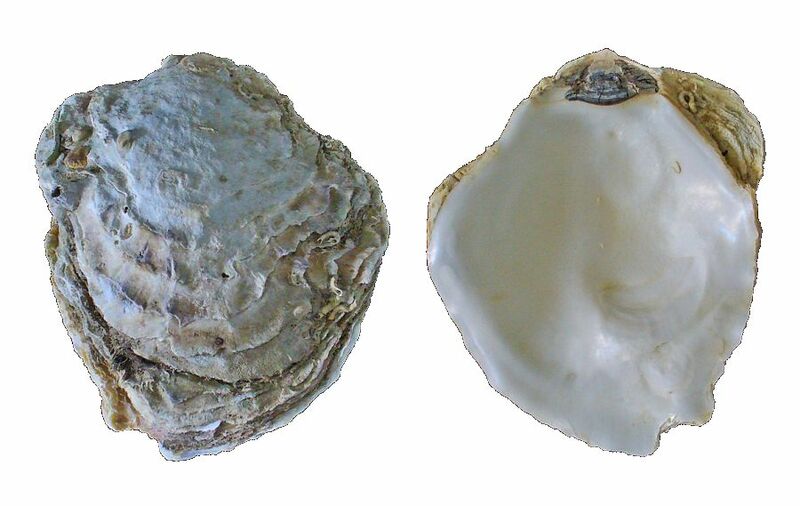 It is not the only oyster that is edible by humans. 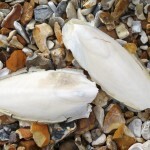 Shells are oval or pear shaped, white, yellowish or cream in colour, with a rough surface showing pale brown or bluish concentric bands on the right valve. The two valves are quite different in shape and size, as the left one is concave while the right one is almost flat and fits inside the left. 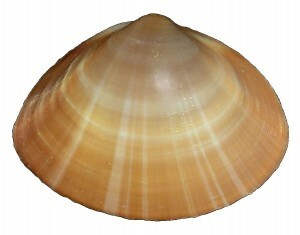 The common cockle, is a species of edible saltwater clam, a marine bivalve mollusc. 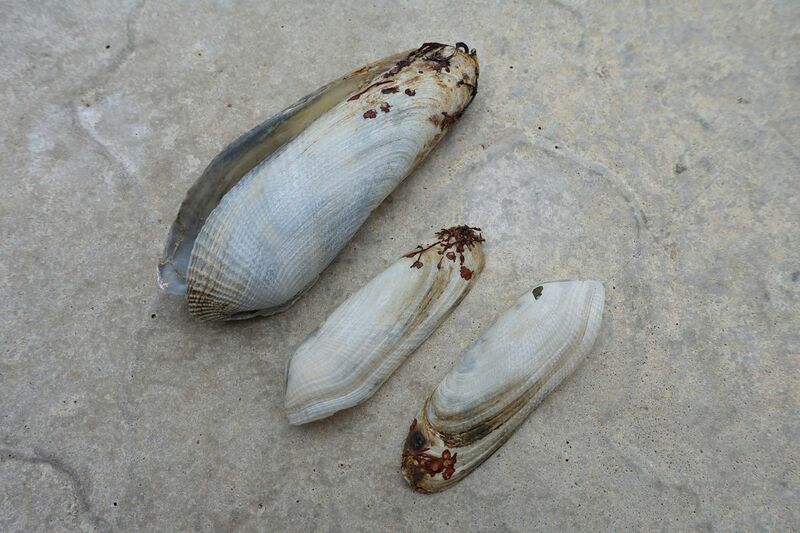 It is one of the most abundant species of molluscs in tidal flats in the bays and estuaries. It is a shore species that typically lives burrowed in soft sand or mud. This cockle is cooked and eaten in several countries including the UK. 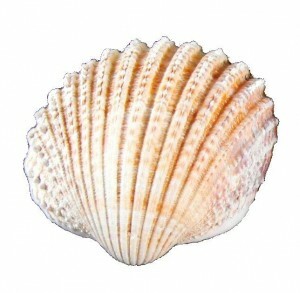 It has a solid shell, consisting of two valves, which feature prominent ribs and concentric growth-lines. 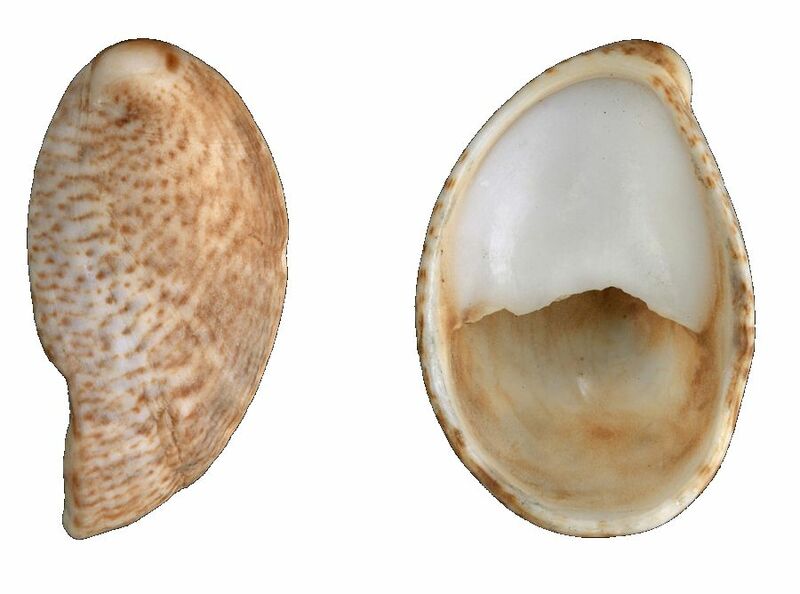 The outer surface of the shell is off-white, yellowish or brown, and the inner surface is white. Up to 130mm long. The shell is smooth on the outside and whitish, cream and brown in colour with vertical and horizontal reddish-brown or purplish-brown markings separated by a diagonal line. The inner surface is white with a purple tinge. Common on all British coasts. The trough shell is a type of edible clam. 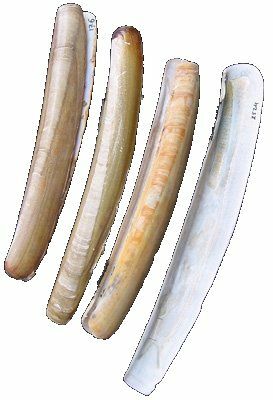 It has a very thin and delicate shell, which has concentric growth lines and sometimes also has colored radiating bands, hence its common name, the rayed trough shell. The shell interior is white. Up to 50mm in length. Fine concentric lines and radiating bands of orange-brown colour. Common all around the UK. The common or european limpet can be up to 60mm long. It is an edible species of sea snail. Conical shape with raised ribs running from top to bottom. Pale brown in colour usually with a white pointed tip. Inside the shell there are some short dark brown lines at the outer edge. Often found fixed to a rock. 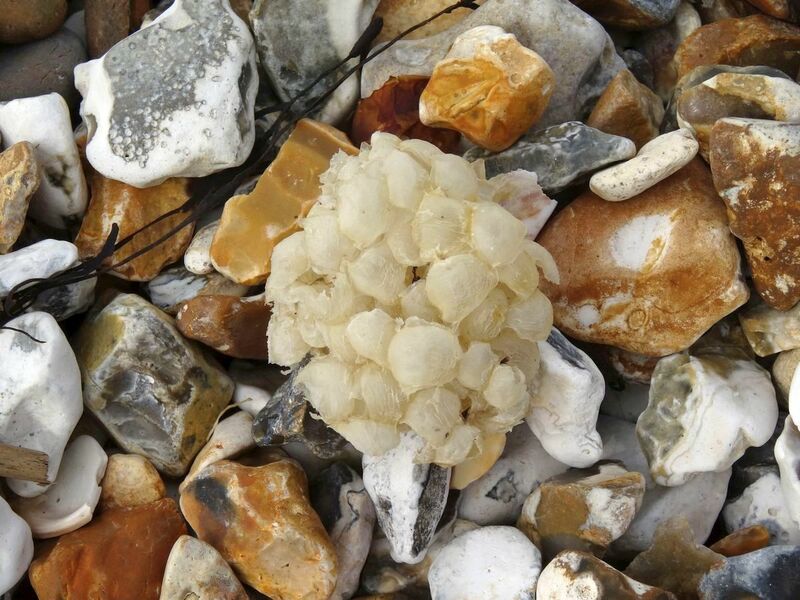 Up to 30mm in length Periwinkles are the pebbles of the sea. You find them along the entire coast, on breakwaters, dikes, piers. The shell contains six to seven whorls with some fine threads and wrinkles. The color is variable from grayish to gray-brown, often with dark spiral bands and a white lip. 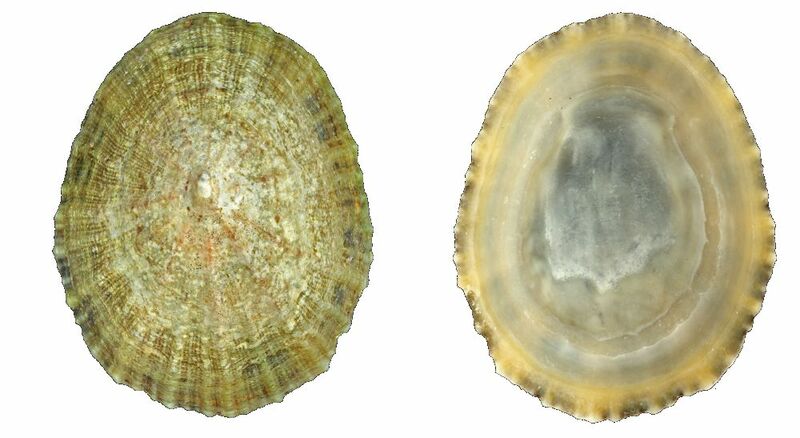 A very fragile boring bivalve, approximately elliptical in outline with a beaked anterior end, up to 12 cm long. The shell is thin and brittle with a sculpture of concentric ridges and radiating lines. The shell is dull white or grey in colour. 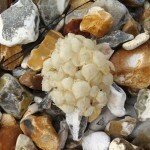 Not easy to find at Stokes Bay but may be broken or have seaweed attached to one end. look like a lump of bubble wrap. Left behind after the crab has died. 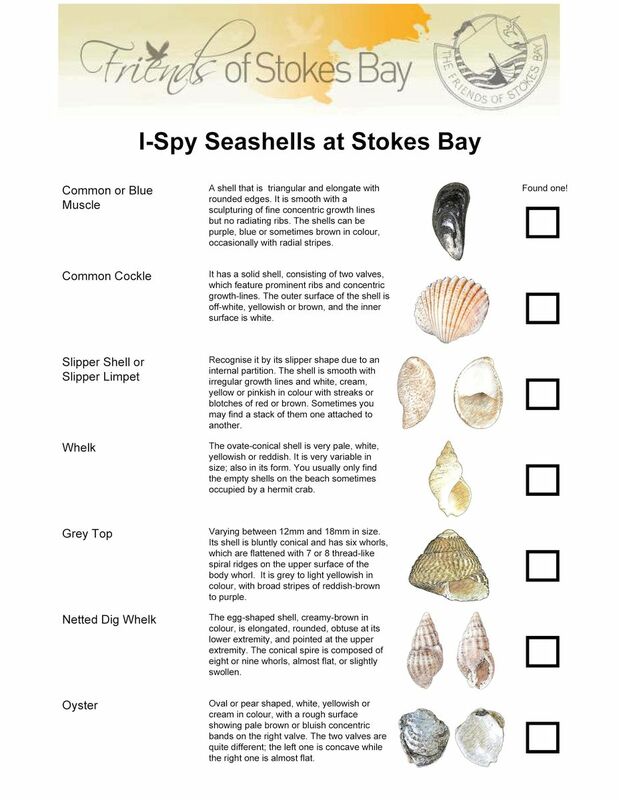 The next time you visit Stokes Bay Beach download, print and take this handy guide with you. See if you can find an example of each. Great fun for the children, and adults! 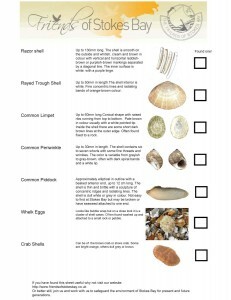 If you find an unusual shell we would like to see a photo!